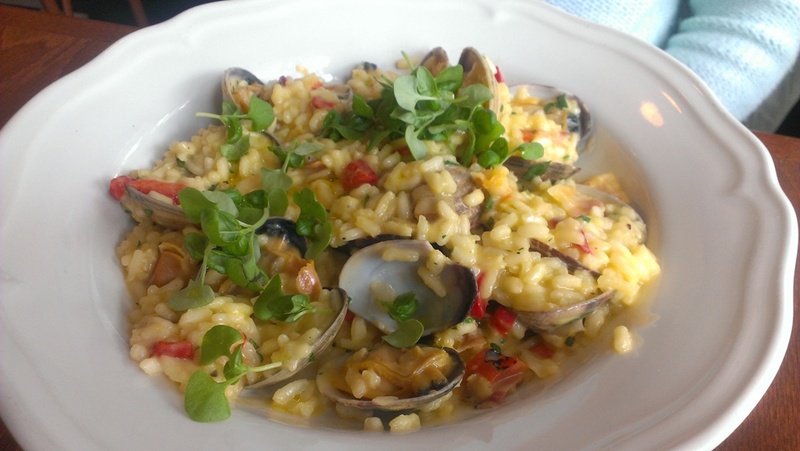 This was the Saffron Risotto with Clams. I was surprised that there were a lot of clams! The risotto was perfectly cooked and super delicious and slightly fragrant from the saffron. 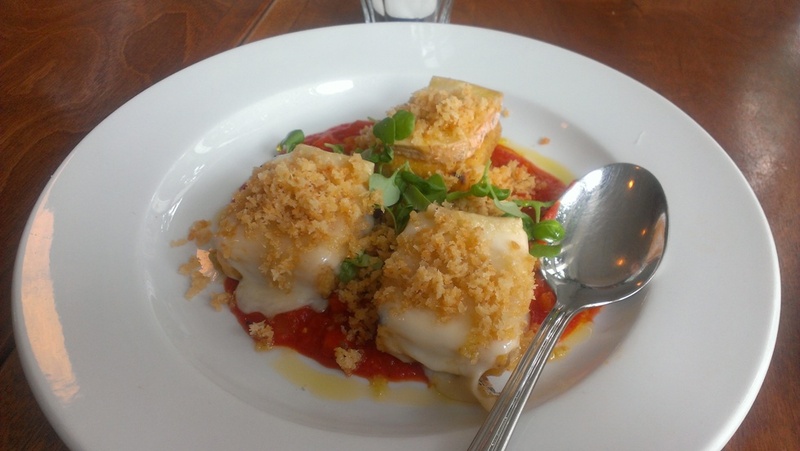 I really liked this dish! The only thing was that the rice got stuck in the clam shells! 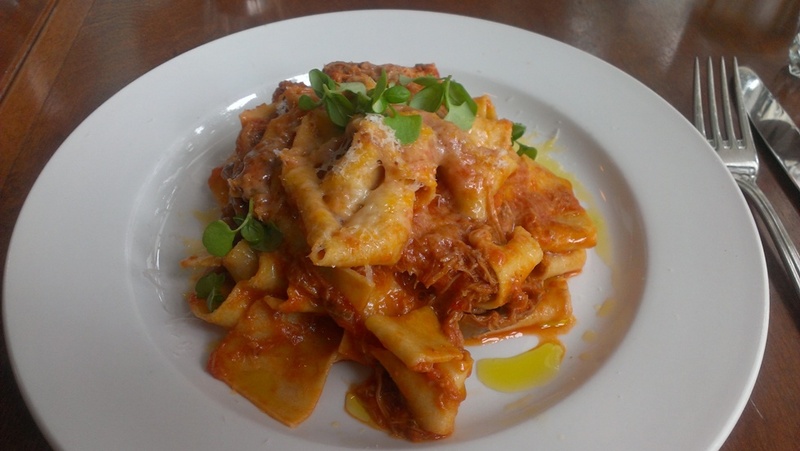 I had heard a lot about the Pappardelle and Duck Ragu. 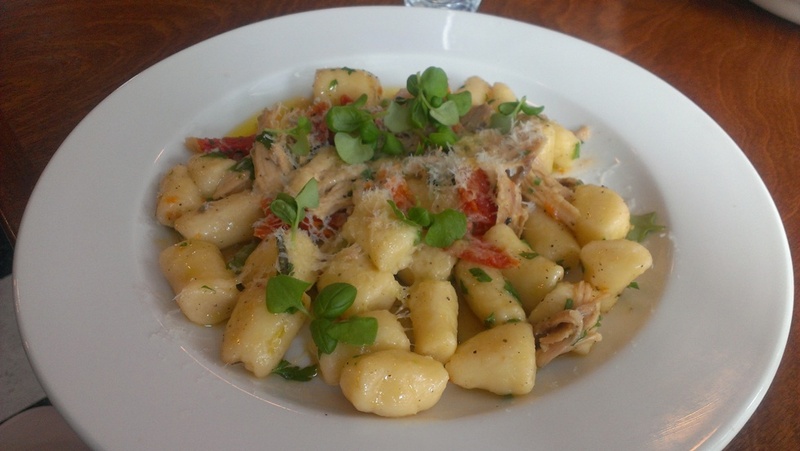 The pasta came steaming hot and the duck ragu was really soft and almost melts in your mouth. The pasta was cooked just right for me and there was just the right amount of sauce. It was a bit on the oilier side though as you can tell from the photo. Moving onto dessert! This was the dessert special which was a Strawberry and Almond Tart? We had this instead of the regular Olive Oil Cake that they have on the menu. I’m not sure what the cream on top was though but it was not ice cream if that’s what you’re wondering. 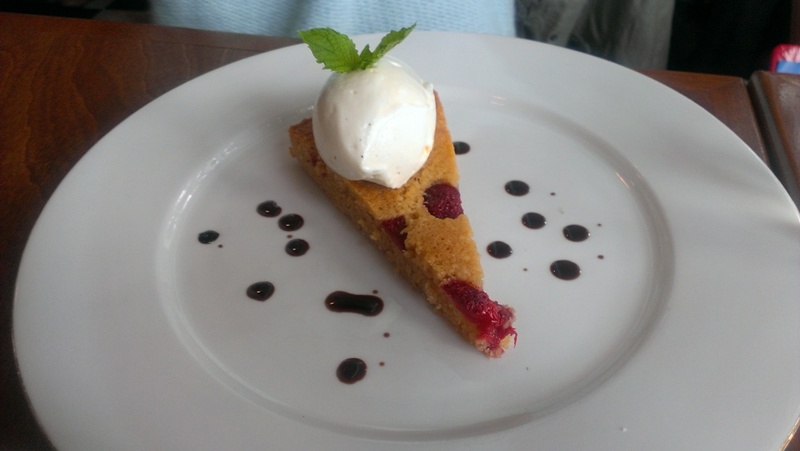 The tart had a light almond flavour and the strawberries gave it some more tartness. 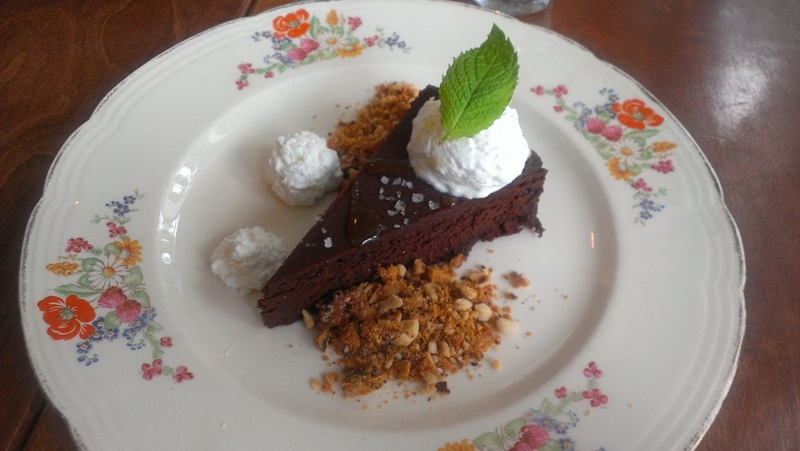 Next we shared the Chocolate Budino cake with rock salt and hazelnut crumble. The cake was quite dense and heavy on the chocolate flavour so I would find it difficult to finish this myself but it was good for sharing. The rock salt and hazelnut crumble helped balance the chocolate flavour more but it was still a heavy dessert. 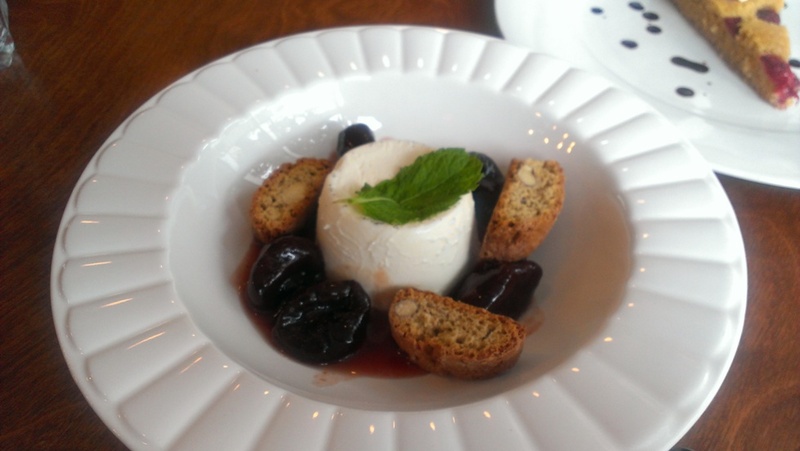 Finally we also had the Panna Cotta with almond biscotti and wine prunes? The panna cotta was our favourite dessert and wowed us with it’s smooth texture and light flavour. The almond biscotti was good but it didn’t seem like it went with the panna cotta. I declined to try the prunes though but the sauce gave the panna cotta some more flavour. The service was very good and our served checked up on us after every course to make sure things were going well and refilled our water for us. For me, Ask for Luigi did live up to the hype but the insanely long wait doesn’t seem worth it to me and I can order similar pasta elsewhere without having to wait right? I would recommend trying it though and maybe stopping by for lunch if it’s less busy. PS. they are also closed on Monday and Tuesday.